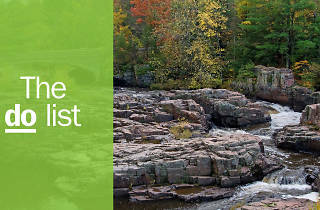 Tourists have been coming to Wisconsin Dells since the 1800s, and it’s no surprise as the city contains the very best of what makes Wisconsin great. 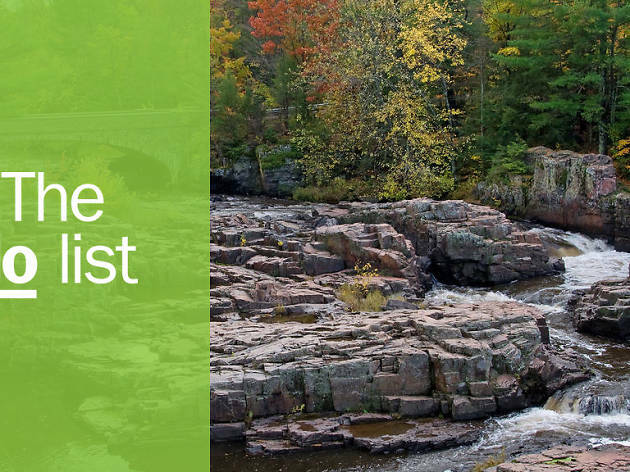 The spectacular sandstone landscapes along the Wisconsin River are a prime example of the state’s natural beauty, the fudge will keep you coming back for more, and the quirkier attractions will introduce you to the state’s light-hearted side. On the surface ‘the Dells’ may seem like one big tourist trap, but if you fully embrace the city’s cheesy side, the water park capital of the world won’t disappoint. What is it? America’s largest water park, Noah’s Ark in Wisconsin Dells features more than 50 slides. Why go? From straight-up tubes to twisting bodyslides, family rafts and halfpipes – or a headfirst option if you’re feeling brave – there is no place better to spend a summer day with the family than at Noah’s Ark. Splash around in the wave pool or check out Raja, the world’s largest King Cobra dual slide. What is it? 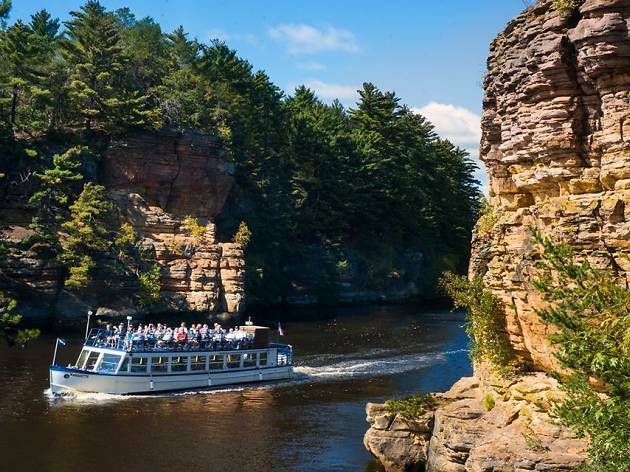 A boat tour in the part of the river above the Wisconsin Dells dam, past sandstone formations and pine-topped cliffs, making a few unusual stops. Why go? You’ll stop to explore the spooky passageways of Witches Gulch and witness a trained pooch make the famous leap from a cliff face to Stand Rock. What is it? 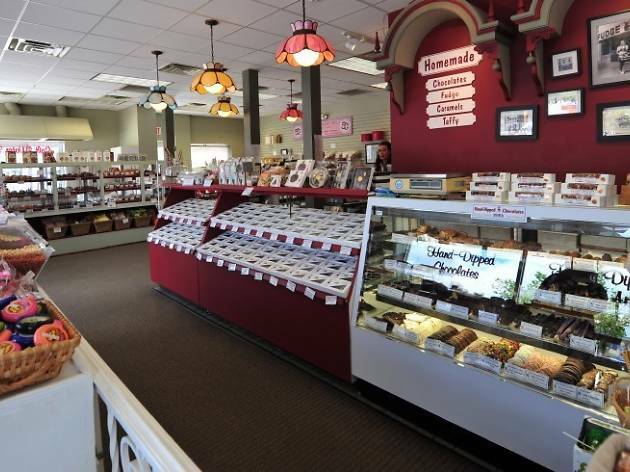 There are several sweet shops along the Wisconsin Dells strip, but Swiss Maid Fudge is one of the best old-fashioned candy stores in town, with treats made from all-natural ingredients. Why go? Swiss Maid Fudge candies are handmade the ‘old European way’, with copper kettles used to cook the confections over open cast-iron stoves. You’ll be able to watch the candymakers at work in their open kitchen when you visit. What is it? The Wisconsin Deer Park is a family-friendly petting zoo where you can feed and hang out with more than 100 of the majestic creatures. Why go? 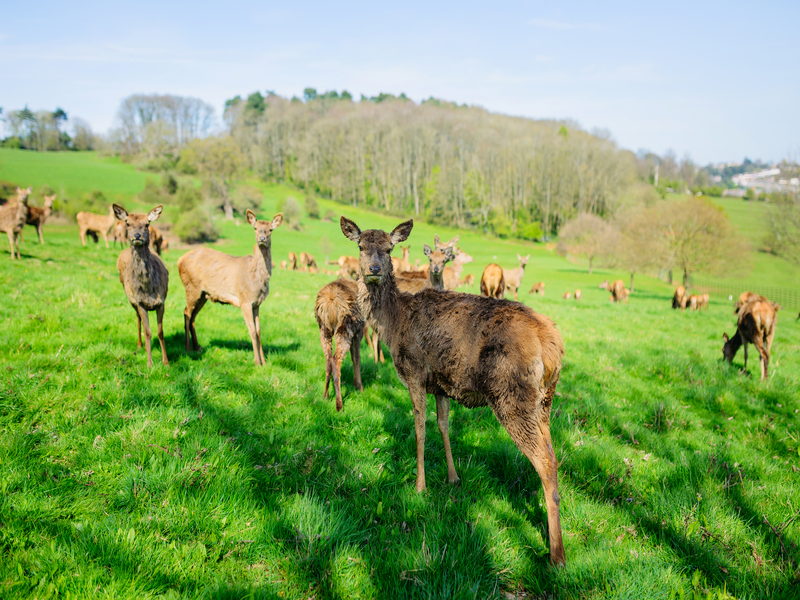 Grab some special snacks for the deer on your way in and feed them directly from your hands as you stroll through the park’s 40 acres, also coming across pigs, ducks, horses and a massive jumping stag sculpture. What is it? The Tommy Bartlett Show is a water-skiing extravaganza that has drawn over 20 million spectators throughout its run. Why go? 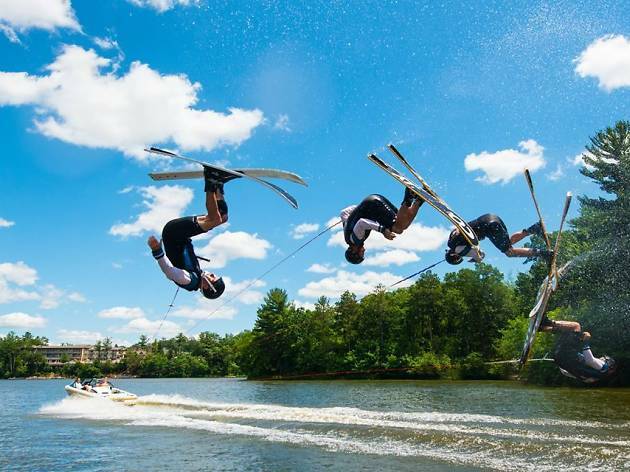 From trick-skiing, jumps, barefoot water-skiing, flips, and more, the high-powered action of the Tommy Bartlett Show will leave thrillseekers in awe. 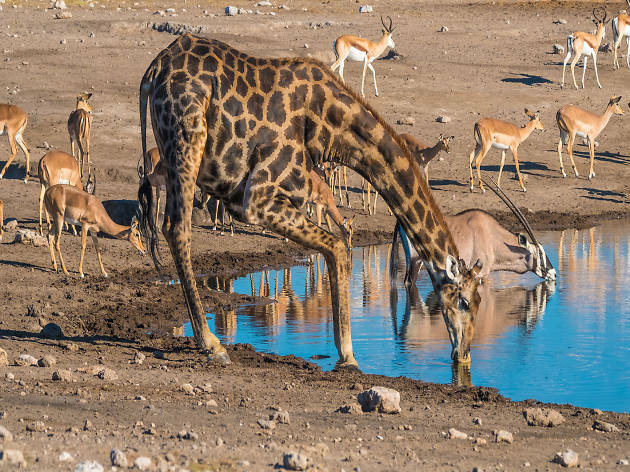 You’ll also witness sky-skiing, acrobatics, juggling, and even a waterskiing clown. What is it? The Mt Olympus complex includes both indoor and outdoor theme and water parks, making it a great place to visit any time of year. Why go? The park is home to five roller coasters – including Hades 360, with a 360-degree roll and a 65-degree drop – seven go-kart tracks, and 44 epic waterslides. If that’s not enough, there are also batting cages, bumper cars, a surf wave, and the 100-foot tall Apollo’s Swing, which reaches speeds up to 70mph. What is it? First developed for the military, the Ducks can easily maneuver both in water and on land, making them the ideal way to tour Wisconsin Dells. Why go? It’s not every day that you get to ride around in an amphibious truck. 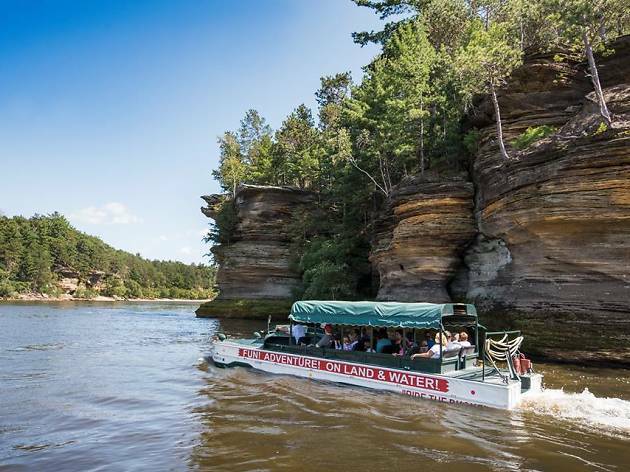 The Original Wisconsin Ducks will take you through scenic territory explored exclusively by them as well as around the Lower Dells area, ensuring you not only get a fun ride, but also a great tour. What is it? A build-your-own pizza bar where there are 87 million potential combinations available to you. Why go? 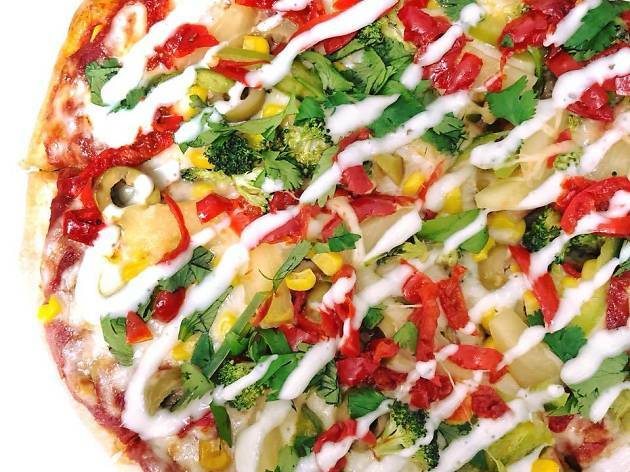 At Dells Pizza Lab, you are in control of your culinary creation. Not only can you craft whatever kind of pizza you’re in the mood for, but you also won’t have to wait long to eat it. The giant stone-hearth oven can cook your creation in less than five minutes. What is it? 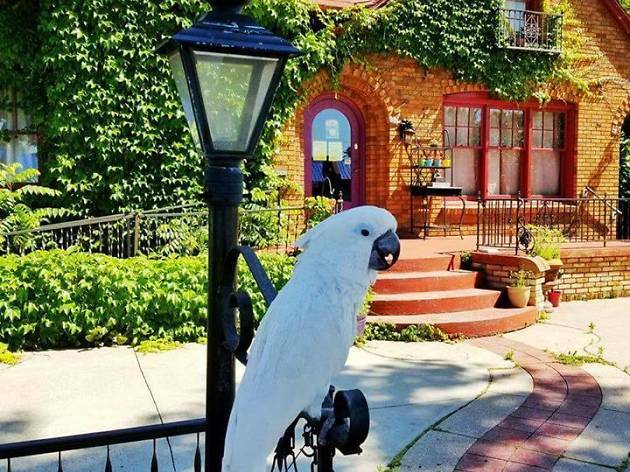 Just outside of bustling downtown Wisconsin Dells, the area’s local wineries offer a relaxed escape from the tourist crowds – and wine tastings. Why go? 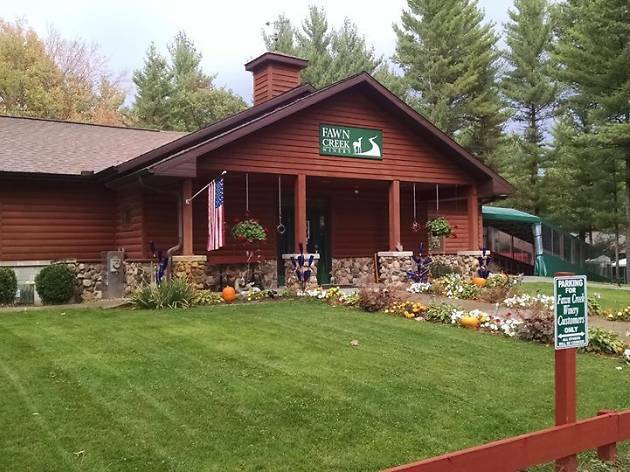 At Fawn Creek Winery, you’ll be treated to free tastings and live music while overlooking the peaceful vineyard from the outdoor deck. What is it? Wisconsin’s strangest museum, Mr Marvel’s Wondertorium combines circus tricks and a Vintage-style cabinet of curiosities from around the world. Why go? Join Mr Marvel on his adventure in downtown Wisconsin Dells as you’re treated to performances from ten live acts, then get up close and personal with unusual animal misfits (think frogs and fish, all rescued or endangered breeds), bizarre art and shrunken heads. The museum also runs ghost-hunting tours.